The Valcambi 1 oz. 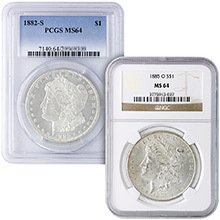 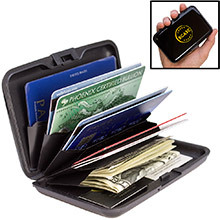 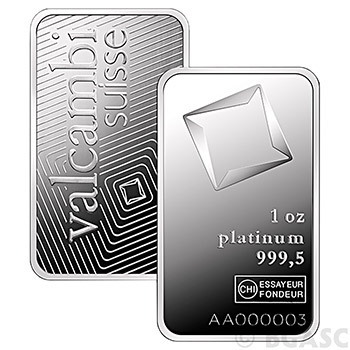 Platinum Bar is one of the most well-known and sought out platinum investment bars on the market today. 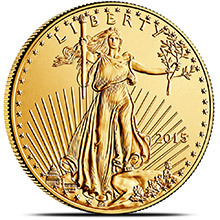 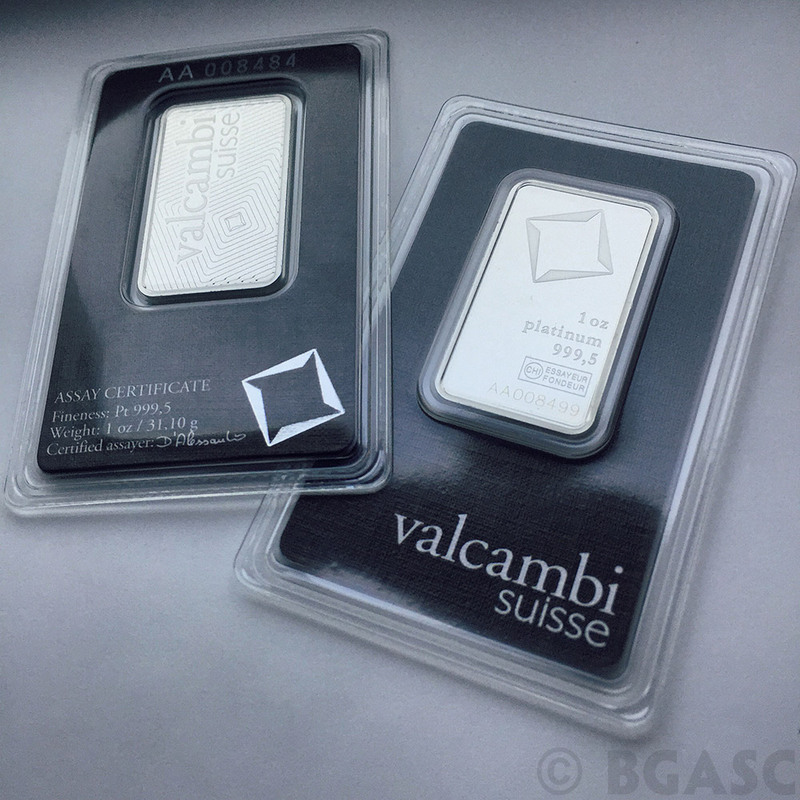 Valcambi's ultra-modern design, highly polished, mirror-like finish, and platinum purity guarantee make them an obvious choice for even the most sophisticated of precious metals portfolios. 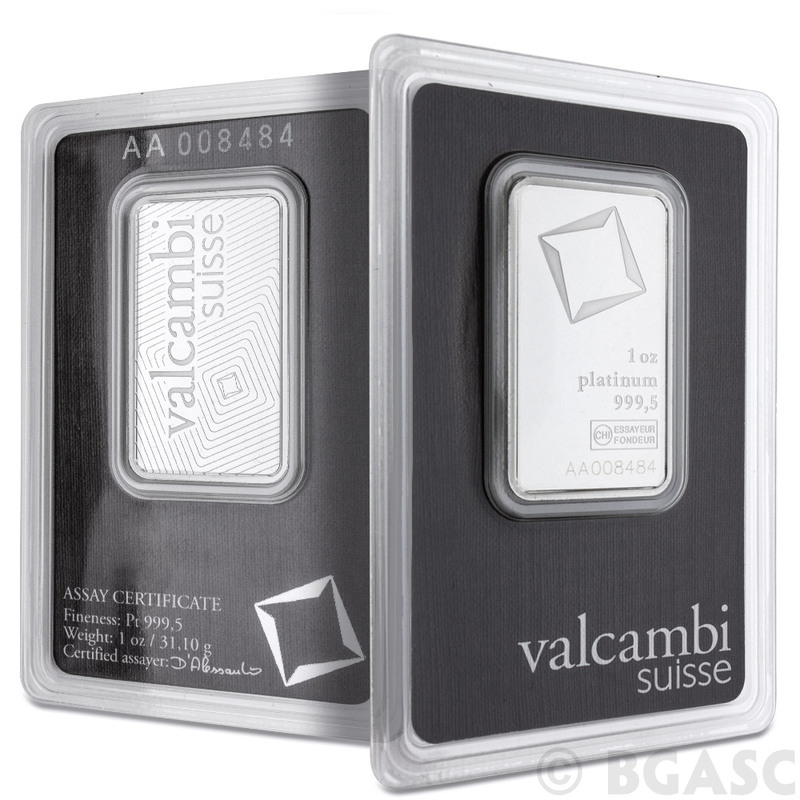 Each of these .9995 fine platinum ingots was meticulously minted by Valcambi, a leading precious metals refiner and manufacturer of investment bullion products headquartered in Switzerland. 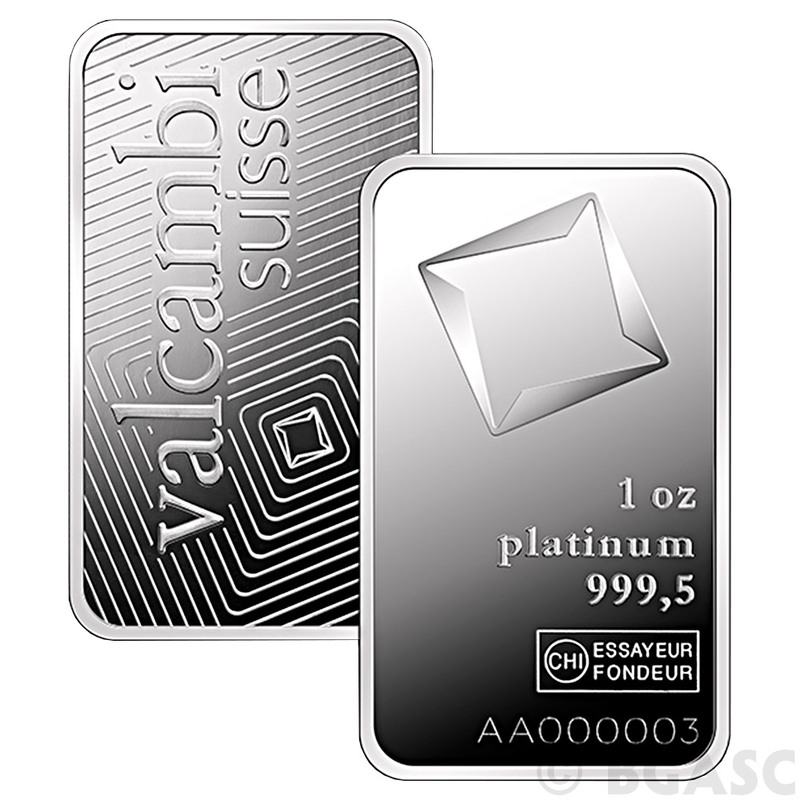 Each brand new Valcambi platinum bar is stamped with its weight, fineness, the iconic Valcambi logo and its own unique serial number for further authenticity as well as your own inventory cataloging purposes. 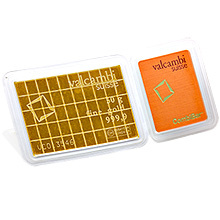 Valcambi 1 oz platinum bars are tested for purity by independent certified precious metals assayers in compliance with the Swiss Precious Metals Control Law and sealed in a protective plastic blister pack containing a unique assay certificate. 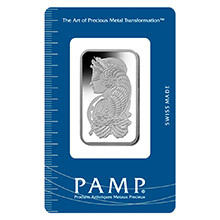 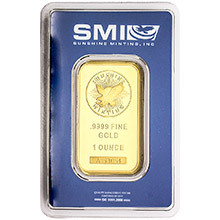 These .9995 fine platinum bullion bars are IRA Approved, ISO 9001 Registered and meet all LPPM required standards for Good Delivery. 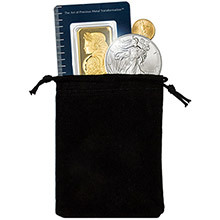 You may want to add a Small Velveteen Drawstring Bag to your order to store and protect your Valcambi bar purchase. 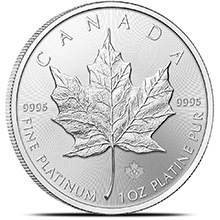 If you have any questions about platinum bars or the ordering process, feel free to call us toll-free and one of our representatives will be happy to assist you.